Gutter Repairs Golders Green | Need Gutters Repaired? Looking for Gutter Repairs in Golders Green? Blue Sky Guttering repair gutters throughout Golders Green and the South East. 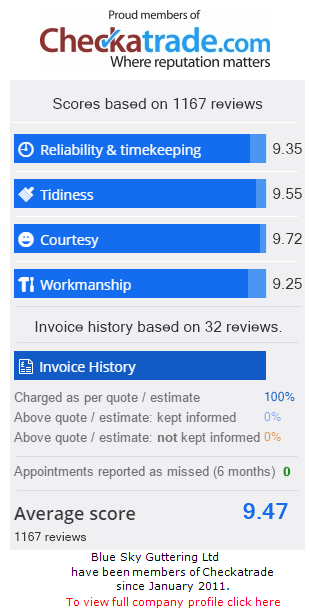 Our team is fully trained in all aspects of guttering repairs and are dedicated to give the highest level of customer service and an outstanding work quality. We repair gutters in Golders Green and the South East and all areas within the M25 to take care of all your guttering repairs needs in Golders Green.